I got a chance to visit the exhibition on its second day of viewing, Sunday. There were 1,017 chairs set out on its grounds to represent the number of Marylanders who died in that blood-stained conflict. A “Wall that Heals,” a replica of the wall that stands in Washington, D.C., was also on display. Over three million Americans, men and women, saw military duty in Vietnam. For the purposes of its documentary, the MPT’s co-producers, Ken Day and Tom Williams, interviewed 260 veterans. Their moving stories have remained mostly untold. It is fair to say that the Vietnam War was never popular with the vast majority of the American public. Backstory: Vietnam was a French colony up until the mid-50s. After its defeat by nationalist forces, the U.S. eventually stepped in as a surrogate. President Lyndon B. Johnson, utilized a false flag operation, “The Gulf of Tonkin Incident,” as an excuse for a massive U.S. military intervention. It was launched in 1964, and included widespread bombings and the placing thousands of troops on the ground. Things got even more lethal in the 70s, when the demented Nixon & Kissinger Gang took over from LBJ. The Vietnam War was then extended, with deadly consequences, into the neighboring countries of Laos and Cambodia. Meanwhile, an “Antiwar Movement,” opposing the conflict, was born in the U.S. It contributed eventually to a U.S. withdraw in 1973. U.S. forces sustained over 58,000 dead with another 153,000 seriously wounded. The Vietnam death toll exceeded an estimated 1.4 million. The Timonium exhibition included a huge 140-foot map. 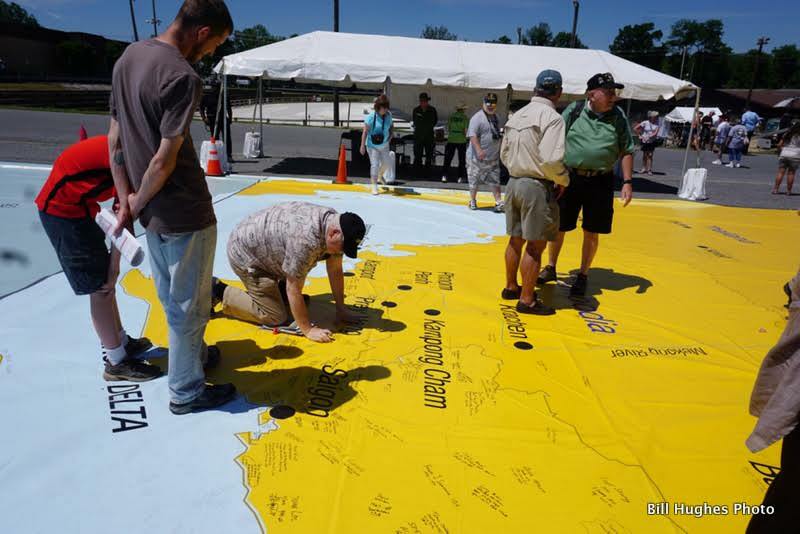 Its title was “Tour of Duty Map.” Some of the veterans visiting the event had written their personal comments on it. 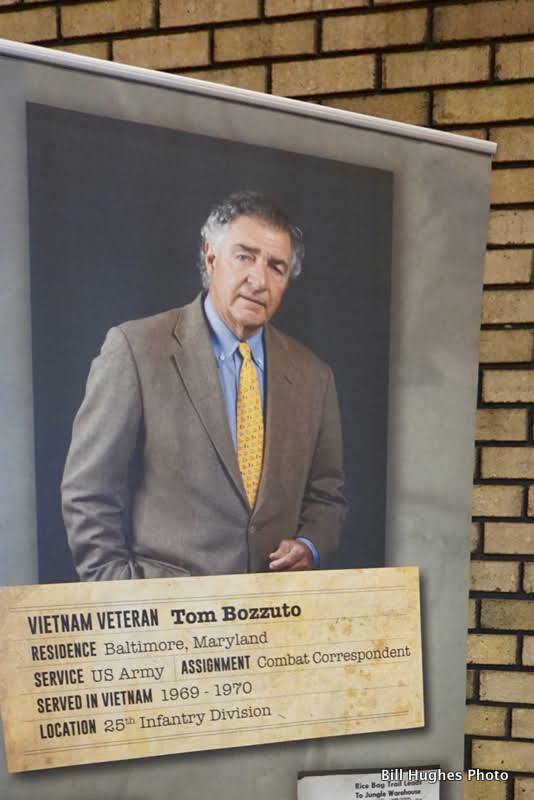 One of the pavilions housed photos of some of the Maryland veterans and gave details on their service in the war. I’m sure that this kind of sympathetic project will add to the still ongoing healing process for many of the surviving veterans of the horrific Vietnam War. Musical entertainment was also provided for the event. 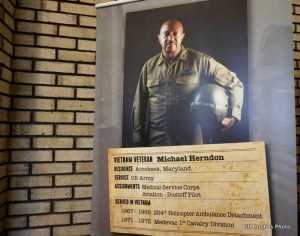 To learn more, visit the Vietnam War Memorial website.